We obtain our organic Aloë Vera from South-Africa. The Aloë Vera is native to tropical and southern Africa, Madagascar, Jordan, the Arabian Peninsula, and various islands in the Indian Ocean (Mauritius, Réunion). A few species have also become naturalized in other regions (Mediterranean, India, Australia, North and South America, etc.). It is a succulent with large serrated leaves. 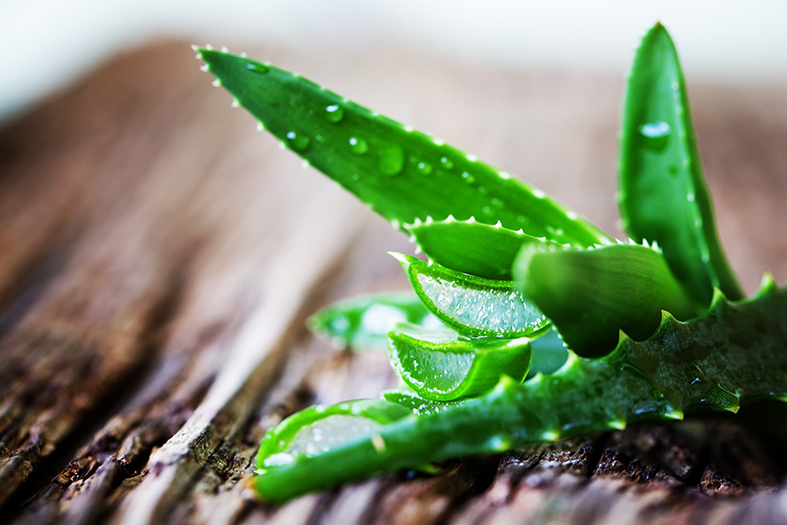 The plant is known for its healing and soothing effect on skin and mucous membranes. The moist can be used as wound medium and as an anti-sunburn and is widely used in cosmetics. The pulp is processed in beverages. Along with vitamin B2, Aloë Vera supports the vitality of the mucous membranes. Aloë Vera is in our intestine / probiotic product, Gut Feeling.